The JetBlue Foundation and Project Scientist are empowering the next generation of girls in STEM and aviation. JetBlue announced the latest collaboration between the JetBlue Foundation and Project Scientist to introduce science, technology, engineering and math (STEM) education and aviation careers to girls from traditionally under-represented communities. Project Scientist’s STEM Expedition Summer Academy is geared towards girls ages four to 12 and includes behind-the-scenes looks at STEM-focused companies and college programs. During these summer camps, girls learn directly from women in STEM fields. The vision of Project Scientist is to transform the face of STEM by nurturing today’s future scientists who will lead the world in solving tomorrow’s greatest challenges. 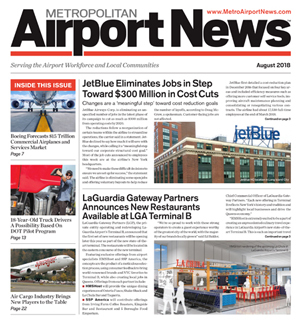 Meanwhile, the JetBlue Foundation, a STEM education-focused entity, works to further JetBlue’s efforts to place aviation top-of-mind as a career choice for students. The JetBlue Foundation hosted more than 60 Project Scientist campers at Long Beach Airport in Southern California. Students received an overview of the various career options available within an airline. 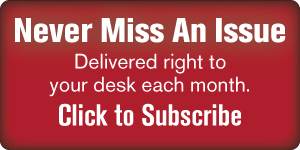 According to Women in Aviation International, only seven percent of U.S. pilots are women. The JetBlue Foundation’s mission is to introduce students from traditionally underserved communities, particularly girls, to STEM and aviation and help increase these numbers. The JetBlue Foundation has committed to provide ongoing support to help Project Scientist grow its STEM-related programming. 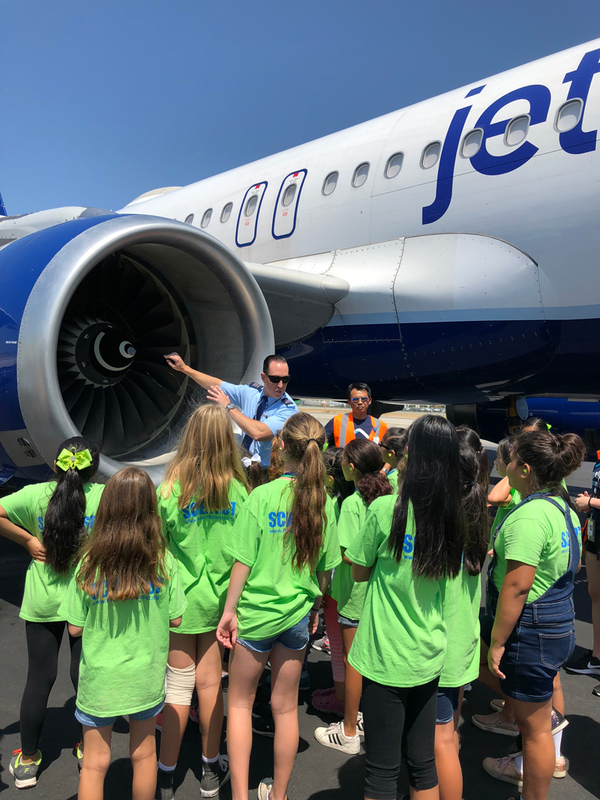 On August 1, 2018, JetBlue hosted more than 60 Project Scientist campers at Long Beach Airport (LGB) in Southern California. Students received an overview of the airline’s operation and learned directly from pilots and other aviation professionals about the various career options available within an airline. The JetBlue Foundation sponsored a similar program last year for Project Scientist students in Charlotte, NC. Project Scientist works with universities, research partners, and curriculum developers to offer educational programming for girls from low-income backgrounds to participate in hands-on experiments and partake in local field trips. 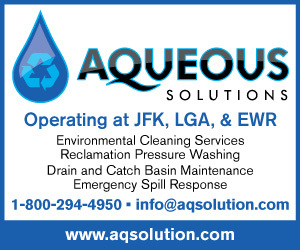 Earlier this year, Project Scientist was the recipient of a grant from the JetBlue Foundation. This grant is funding their Pasadena and Orange County sites and providing scholarship support and the necessary infrastructure to position Project Scientist for growth. In 2016, Project Scientist received their first grant from the JetBlue Foundation to fund similar STEM programming. In addition to providing grants, the JetBlue Foundation also believes in the power of mentorship and in-kind support. Knowing that each grant recipient has unique needs, the JetBlue Foundation lends a supportive hand in a variety of ways. 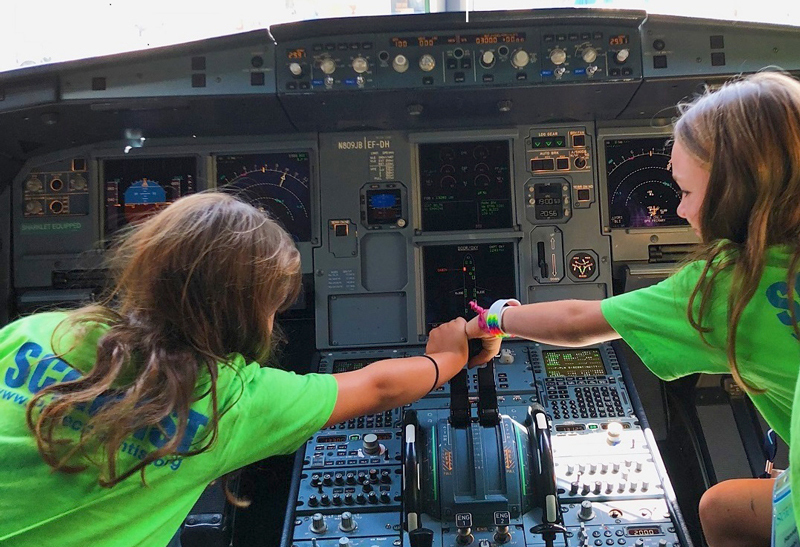 From Q&A sessions with female engineers and pilots at JetBlue, to sponsoring aviation-related curriculum, to hosting tours at JetBlue’s airports and training centers, the JetBlue Foundation provides students with awareness and access to spark an interest in STEM and aviation. Beyond just grants, the JetBlue Foundation provides internships and much more to make a difference for the next generation of aviators, engineers, dispatchers, schedulers, aircraft mechanics and pilots. Over the past five years, the Foundation has built ongoing relationships with nearly 40 aviation and STEM-focused programs and provided more than $750,000 in grants to help these programs take off and soar.